In my last blog, I provided evidence that coho salmon were headed for extinction in California. Here I discuss why and what we can do about it. 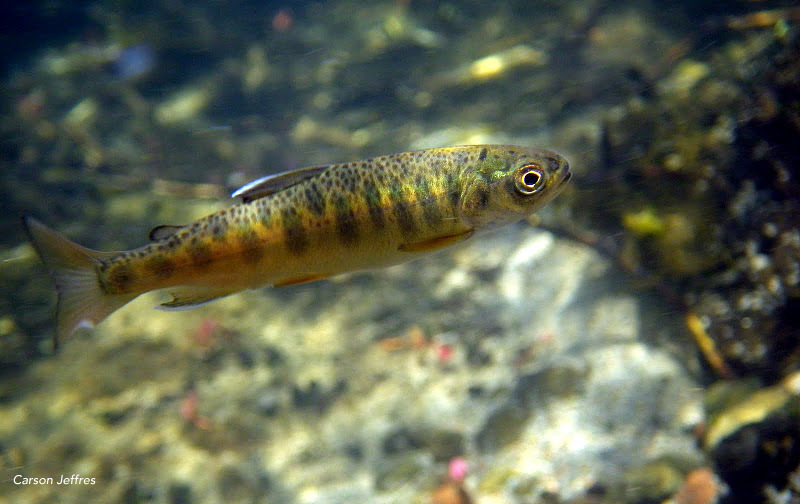 The over-riding cause of coho decline is 150 years of land abuse in fragile coastal watersheds. This abuse is from logging, farming, grazing, mining, urbanization, road building, and other practices that alter ecosystems, cause massive sediment delivery to the rivers, divert water, block fish migrations, and generally create environments inhospitable to coho salmon. While these abuses are being dealt with in small ways by agencies, one of the biggest obstacles to salmon recovery is fish hatcheries. The massive declines of wild coho were masked by returns of fish to hatcheries, which now have also declined. But increasingly scientific studies are documenting the severe impact to wild fish of interbreeding with hatchery fish (Araki et al. 2007, Kostow 2009, Chilcote et al. 2011). Essentially, interbreeding reduces the reproductive capacity of wild populations by as much as 10 times, preventing recovery. So what do we do? One way is to continue to follow the present path: arm-wave about the terrible state of coho salmon populations, take a few palliative measures (as the beleaguered, under-staffed State and Federal agencies are now trying to do) and then track the extirpation of coho from California. The coho salmon, like the grizzly bear, will become another quaint icon of California history. 1. Undertake major reform of hatchery management. There are two major objectives in management of hatcheries for California salmon. One is recovery of wild salmon runs; the other is subsidy of fisheries. Unfortunately, mass-production of hatchery fish is not compatible with wild coho recovery. A restructuring of California’s hatchery system is necessary to make it work in ways that favor wild fish. The way to start this reform process is to appoint, fund, and empower a solution-oriented task force of scientists who are willing to start with the premise that conservation and production functions need to be separated. 2. Protect the best remaining habitats. The recent acquisition of the Blue Creek watershed in the Klamath River Basin, by the Yurok Tribe is an excellent example of such strong action (http://www.yuroktribe.org). The acquisition was made possible by an $18.75 million dollar grant from the State Water Resources Control Board. Coho habitats do not have to be in pristine condition to work for conservation. Lagunitas Creek in Marin County is an example of a highly altered watershed where intense management has maintained coho (http://www.spawnusa.org). 3. Focus restoration efforts and money where you can get the ‘most bang for the buck’. Given the present funding situation, this increasingly means doing triage on coho streams, ignoring some streams while investing in others. The Shasta and Scott Rivers in the Klamath River watershed come to mind as good investments. 4. Change land management practices throughout the coastal regions of California to make them more ‘fish friendly’. This will require actions by all levels of government, combined with voluntary private actions. Examples of actions include improving forest practice rules (logging), improving implementation of water quality standards (especially TMDLs for sediment), decommissioning roads that deliver sediment to rivers, and hundreds of local actions. This broad recommendation obviously calls for a fundamental change in the way we live on the landscape in coastal watersheds. 5. Reclaim estuaries. Estuaries are important rearing areas for juvenile coho, allowing them to adjust to ocean conditions and grow larger in the process. Most estuaries and lagoons along the California coast have been diked and drained for agricultural or urban use. Improving their ability to support salmon would have major benefits for fish and wildlife in general. 6. Remove dams. There are lots of good reasons to remove dams on coastal rivers, but the process is long and difficult. This just means that removal proceedings should start as soon as possible. 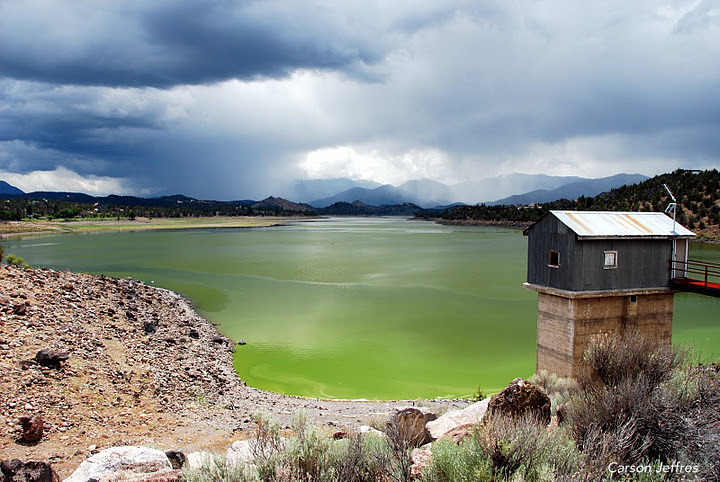 Action should start with the more obvious problem dams, such as Dwinnell Dam on the Shasta, which is unsafe, blocks access to upstream spawning and rearing areas and alters spring flows, needed for migration, below the dam. These are just some of the more obvious and larger-scale actions that need to be taken if we want to prevent the extinction of coho salmon in California and perhaps even restore a fishery for them. These actions would benefit all the diverse anadromous fishes in California’s coastal watersheds. Taking action that really makes a difference won’t be easy, but it is either now or never for coho salmon in California. Do we as citizens of California really want to let another of California’s iconic species join the grizzly bear? For the sake of my three lovely grand-daughters and other future Californians, I certainly hope not. Peter Moyle is a professor of fish biology and associate director at the UC Davis Center for Watershed Sciences. Araki, H., W. Ardren, E. Olsen, B. Cooper, and M. Blouin. 2007. Reproductive success of captive-bred steelhead trout in the wild: evaluation of three hatchery programs in the Hood River. Conservation Biology 21:181-190. Chilcote M., Goodson K., Falcy M. 2011. Reduced recruitment performance in natural populations of anadromous salmonids associated with hatchery-reared fish. Can J Fish and Aquat Sci 68:511-522. Kostow, K. 2009. Factors that contribute to the ecological risks of salmon and steelhead hatchery programs and some mitigating strategies. Reviews in Fish Biology and Fisheries 19:9-31. This entry was posted in Conservation, Fish, Restoration, Uncategorized and tagged California, Coho salmon, dam removal, ecosystem, fish migration, flow restoration, Moyle, stream restoration, UC Davis Center for Watershed Sciences. Bookmark the permalink.